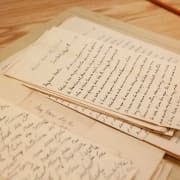 The Casey Papers contain a vast array of materials that include diaries, financial records, letters, legal documents, architectural drawings, inventories, photographs, and scrapbooks belonging to Thomas Lincoln Casey (1831-1896) and his son Edward Pearce Casey (1864-1940). Opportunity: It is an opportunity to learn more about the development of Washington, D.C. in the nineteenth century and about archival methodologies and practices. Volunteers assist in reviewing and preparing Casey family material for photography. Skills and Qualifications: Prior experience in archival setting. Attention to detail. Solid computer and data entry skills.